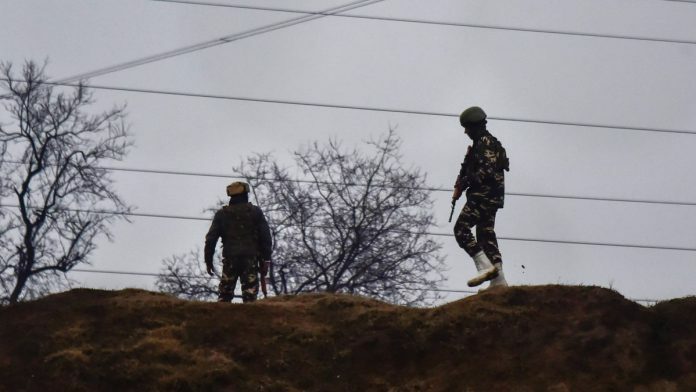 Top J&K Police official says Jaish-e-Mohammad was desperate to do something 'spectacular', and will eulogise the Pulwama attack to lure 'vulnerable youth'. New Delhi: Security forces are apprehensive that Thursday’s deadly attack on the CRPF convoy could lead to a rise in recruitment of local militants in Jammu and Kashmir. A top J&K Police official who did not wish to be identified told ThePrint that the security forces have geared up for a fiery response to the attack, which killed at least 40 jawans. “The JeM (Jaish-e-Mohammad) was desperate to do something spectacular to show its presence in the Valley and gain momentum. It will use this deadly attack as an opportunity to lure more youth towards militancy. This could lead to more local recruitment to militant ranks,” the official said. The official said the security establishment will insist on delaying the upcoming elections in the state, and responding to the terror groups with an iron fist. “The people of Kashmir do not subscribe to inflicting such a thing on anyone, so we (police) are going to change our drills and respond with an iron fist. Our approach will change… We will revive our strategy and wholeheartedly wipe out the mess of militancy in Kashmir,” the official said. At a time when the government claims local recruitment has come down, the police official said the JeM will eulogise this attack and try to lure more youth from “vulnerable backgrounds”. The official also said that the JeM had been desperately trying to send its people to the Valley from every route possible, including Kathua and Samba in the Jammu region, and also Punjab. “Since December 2017, 56 JeM operatives were killed across Kashmir. Out of them 41 were Pakistanis. JeMs plot is to target local boys. It has a lethal mindset,” the official said. Former Special Forces officer Ashish Khanna agreed that this attack would “motivate” JeM to recruit more locals. “Last year, 267 militants were killed and 90 per cent of them were locals. It was one of the biggest years for anti-terror operations. But now, there will be a rise in militancy, as they will get motivation out of this deadly attack,” Khanna told ThePrint. Meanwhile, defence and security analyst Chandrashekhar Bhattacharyya said while it was too early to say if militancy would go up, military operations would definitely intensify. “There will be a rise in CASO/CI and CT Ops in the hinterland by security forces. Thursday’s attack doesn’t come as a surprise, because the tactics and situation was building up over time, since 2017,” he said. A police official from Pulwama said local militants have an equal presence in all the three major terror organisations in the Valley — the local Hizbul Mujahideen, and the Pakistani Jaish and Lashkar-e-Taiba (LeT). “The number of local recruits have slightly dipped but the terror organisations on the ground are still thriving, and the local militants are present in equal numbers across these organisations,” the official said, requesting anonymity. Pulwama falls in the south Kashmir region, which has been in the grip of violence and rising local militancy since the killing of Hizbul Mujahiddeen commander Burhan Wani in 2016. Scores of young, educated boys — some with postgraduate degrees, MPhils and even PhDs — have joined the militancy and been killed in encounters. According to the Ministry of Home Affairs, around 300 militants are active in the Valley as of January 2019. In 2018, 270 militants were killed, according to the South Asia Terrorism Portal. In Pulwama alone, there are about 46 local militants operating on behalf of these terror organisations, said police sources. The number, say police, is more than in Shopian, one of the worst-hit areas, where the locals number around 30. In Srinagar, 12 militants have been active in the last two years, of which police say around eight or nine have been eliminated in separate encounters. The latest incident of a youth joining the militancy was reported from Nowgam on the southern edge of the city, but police say the city is under greater threat from both north and south. “Recruitment is not serious in Srinagar at the moment. Wanted local militants, including Eisa Fazili, Dawood Sofi and Mehraj Bangroo were killed in separate encounters. But there is a possible attack threat for Srinagar from the north and south,” said a top police official in Srinagar. The number of Jaish-e-Mohammad (JeM) operators killed in Kashmir has been updated from 40 to 41 in the article.